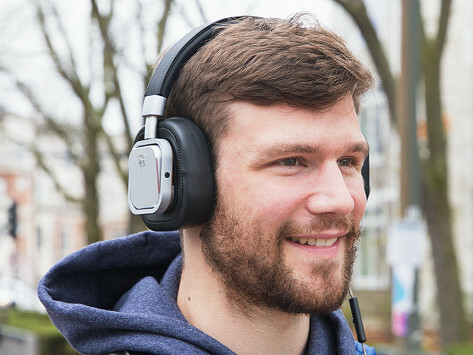 These audiophile headphones won’t let you miss a beat. Customize the four valves per ear and you’ll have eight different ways to create the ideal listening experience. Torque uses subtractive equalization to cut off certain frequency ranges and sharpen others, so you can change the sound delivery depending on the genre. You’ll be able to jam to your favorite song the way the artist intended. Dimensions: 55" x 7" x 2.5"
The material of the speakers is actually a lab-grown, bio-cellulose membrane that works at a high velocity with incredible dynamics. You’ll be able to hear a balanced, nuanced rendition of songs the way they were produced.